The work of the German artist Anselm Feuerbach, the nephew of the famous philosopher L. Feuerbach, was largely based on the ideals of late romantics and “Nazarenes.” The artist studied at the University of Freiburg, Dusseldorf and Munich Academies of Arts. He was fond of the historical genre, spent several years in Paris, where his attention was attracted by the painting of G. Courbet. From 1855 to 1873 Feuerbach lived in Italy, then taught at the Vienna Academy of Arts, led a class of historical painting. Feuerbach worked in other genres. He began as a portraitist, then, following the traditions of romantics, turned to the eastern theme, painted landscapes, created many paintings on mythological subjects, appealed to the image of Dante. “Nanna” – one of the works written by Feuerbach in Italy and captured the famous model Nunnu Rizi, in the interpretation of the image which is felt some mannerism, passion for “beauty”, characteristic of salon painting. Feuerbach, giving a dramatic image of Nanna, created a generalized type of proud Roman woman. Other famous works: Medea. 1870. New Pinakothek, Munich; “Man’s portrait”. 1851. The Pushkin Museum. A. S. Pushkin, Moscow; “Self-portrait”. 1852. The Hermitage, St. Petersburg; “Dante and the Ladies of Equality”. 1858. Kunsthalle, Karlsruhe. 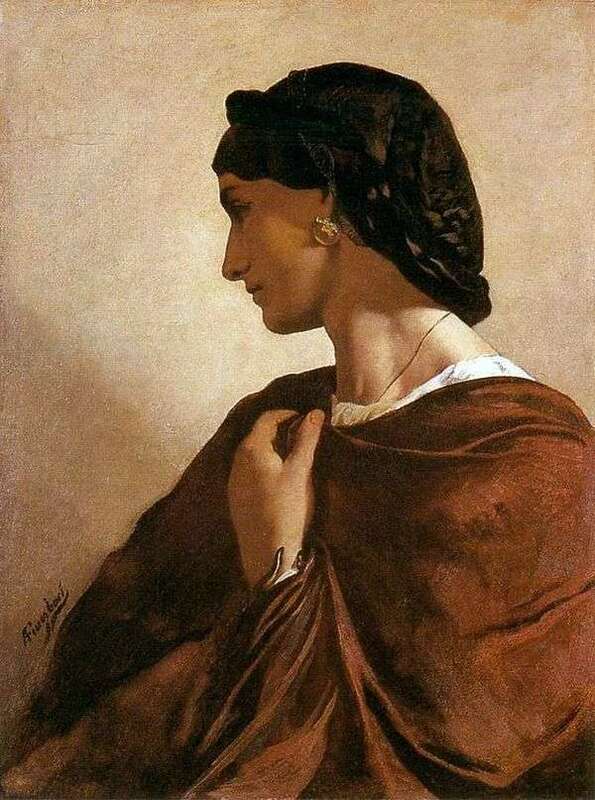 Description and meaning of the painting Nanna by Anselm Feuerbach.